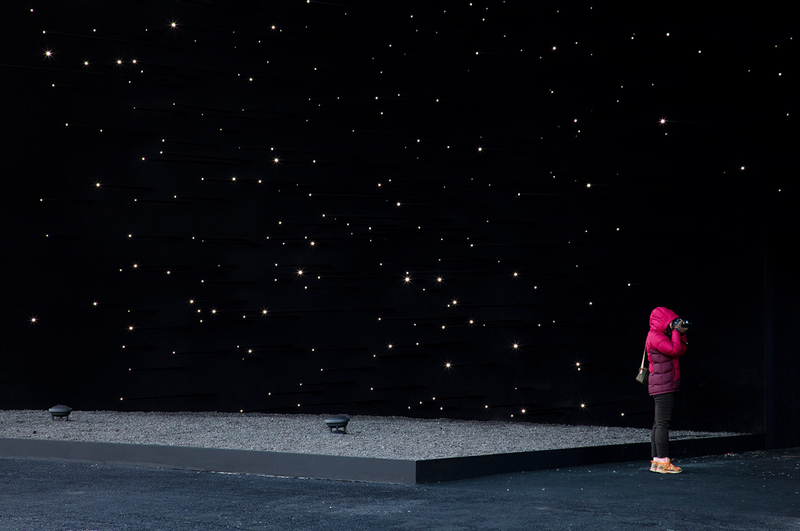 Up close, it’s possible to discern tiny white lights protruding like stars, and Khan believes the sensation of gazing into infinity is almost too much for the human mind to make sense of. 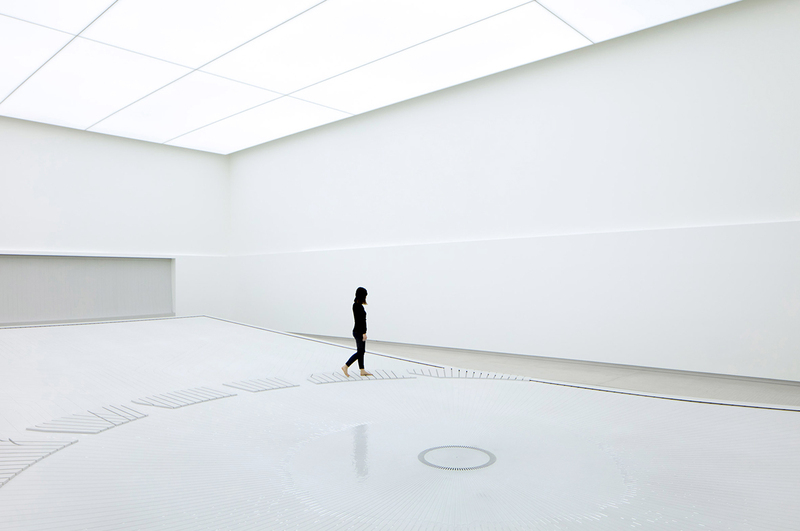 Inside, a dark corridor leads to a futuristic white space where 25,000 tiny water droplets hurtle around like giant atoms. 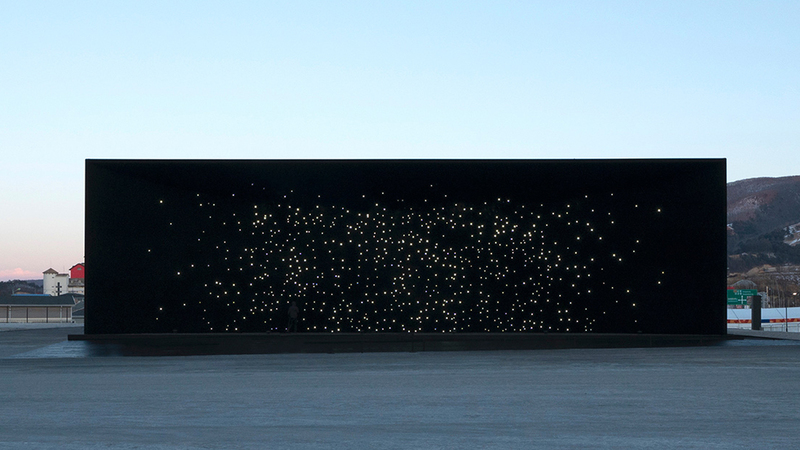 Khan is no stranger to brand collaborations, working with MINI to install forest-like plant boxes across east London, and with Coca Cola during the 2012 London Olympics Khan to design a giant beat box. 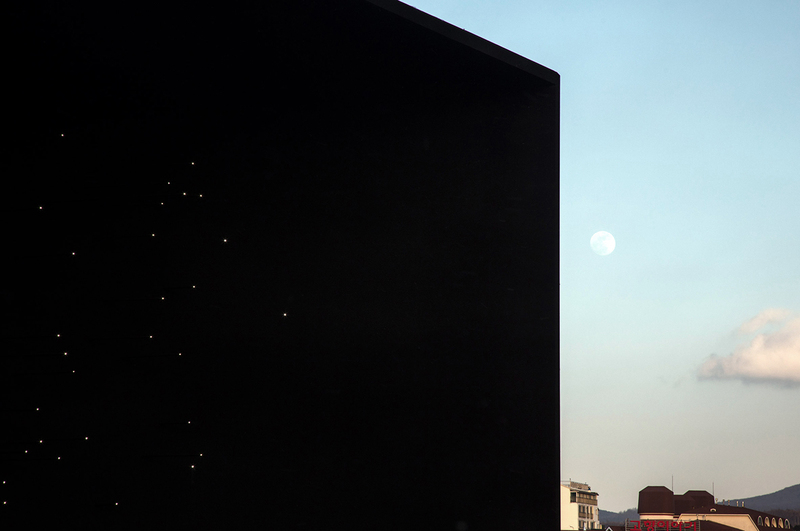 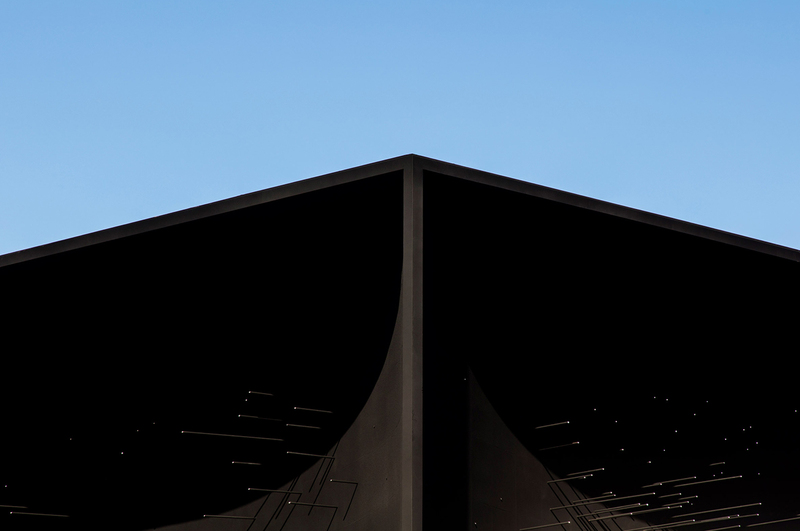 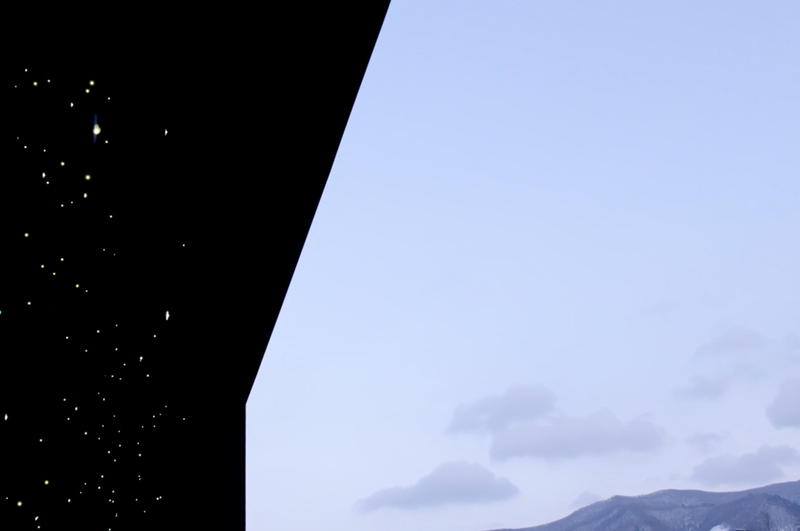 Not everyone will love Khan’s giant black void – the pavilion’s pitch-black footprint on Pyeongchang’s horizon is hardly subtle. 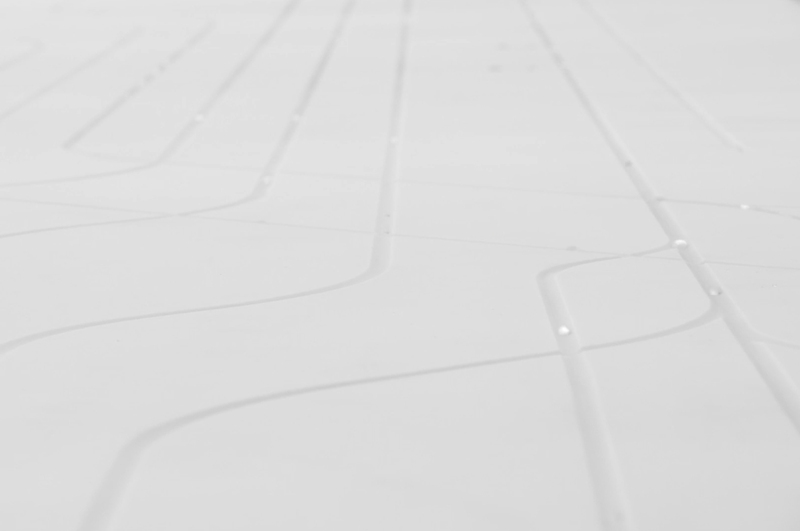 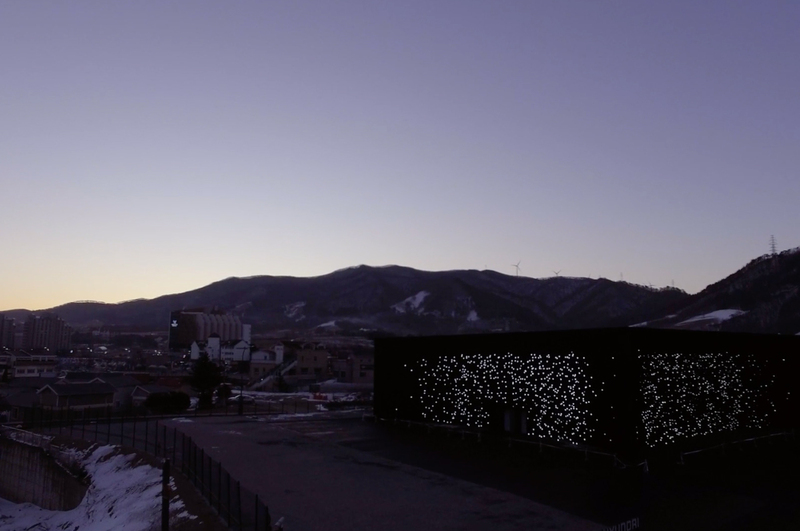 But as a temporary installation designed for the Winter Olympics, this multi-sensory experience cleverly draws attention to Hyundai’s technological prowess using a technology as humble as paint.